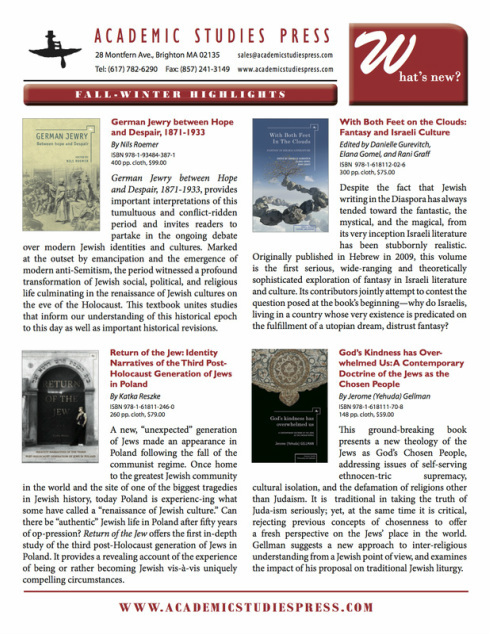 For full review by Connie Webber, see the October Issue of the "Jewish Renaissance" Quarterly Magazine of Jewish Culture. Listen to Hagay HaCohen's interview with Katka Reszke for News from Poland. In English. Listen to Hagay HaCohen's interview with Katka Reszke for the Hebrew Section of the Polish Radio. In Hebrew. 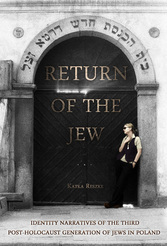 Academic Studies Press lists "Return of the Jew"
as one of it's Fall-Winter Highlights!